Vellum papers add a real touch of luxury to wedding invitations and wedding stationery. Whether they're used for vellum overlays or lining a presentation box (or envelope) they add that little something 'extra'. For crafters vellums have no end of decorative uses from intricate piercing, cutting, embossing and folding and can be used for cards, lanterns and decorative shades. 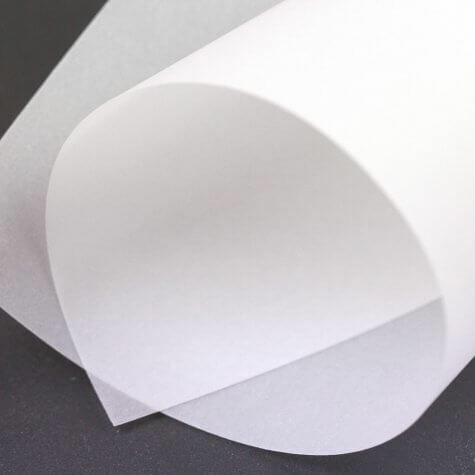 Vellum paper is so popular at the moment, especially the classic plain vellum in different weights. It looks fabulous simply layered over printed text or decorative images but it also looks amazing printed or foiled too. Use as a 'wrap' sealed with a wax seal or tied ribbon or twine or use vellum to line a presentation box for an extra special touch to your boxed invitations. Lay a couple of strips crossing each other in a favour box to cover the contents or create an elegant envelope liner. Our coloured vellum and patterned and embossed vellum creates all the drama with a minimum of effort - the tricky thing is deciding what to choose!